Offering you a complete choice of products which include ptfe bushes. Our company has gained name and fame in offering PTFE Bushes to the clients. These products are made under the supervision of adroit professionals by using high-grade quality material and advanced machines. Offered range is extensively used in aeronautical, chemical, food, beverages, pharmaceutical, petrochemicals and fertilizers industries. 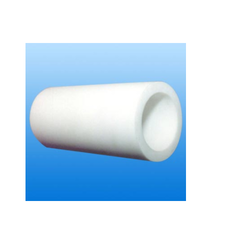 PTFE Bushes are available in various grades and dimensions to meet the demands of clients. These products are well-known for dimensional accuracy, the ability to bear high temperature and pressure, corrosion resistance, low moisture absorption, non-toxicity and light weight.